When Ingrid Kellaghan’s 4- and 5-year-old daughters started taking ballet lessons, they loved dressing up in frilly tutus, pink leotards and ballet slippers. But by the third class, the little ballerinas had lost interest in twirling streamers and dancing to music. 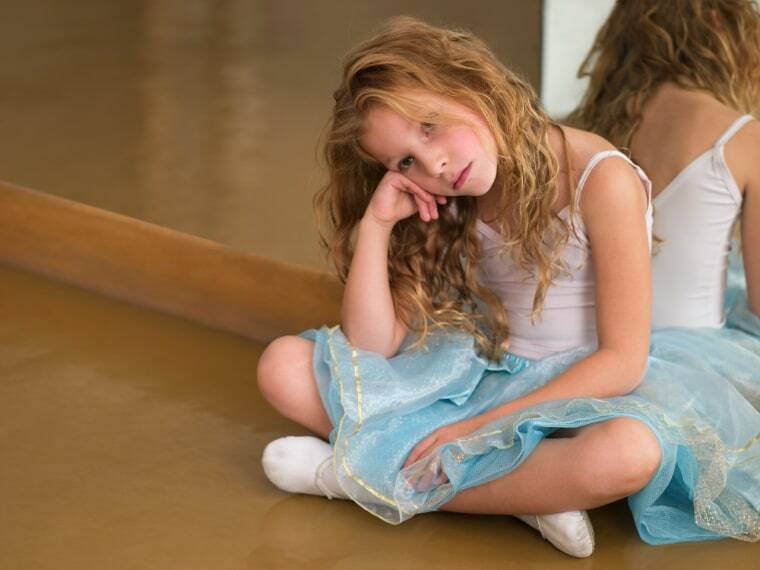 “They were done, bored, and ready for something new,” says Kellaghan, 40, president of the Cambridge Nanny Group in Chicago, Ill.
Parents like Kellaghan have no problem getting their kids to sign up for an activity—whether it be ballet or bug watching—but they face major struggles keeping kids in the game. Up to 50 million kids play youth sports in America, and 73 percent who begin playing a sport quit before they turn 13, according to statistics gathered by organizations such as the National Council for Youth Sports, National Alliance for Youth Sports, Minnesota Youth Soccer, and American Alliance for Health. “Childhood is the time to try out many different things, so not all music, art, and sports classes will stick for the long run, but kids should try to get a complete experience with a class or team before moving on to something else,” says Hilary Levey Friedman, a Harvard University sociologist and author of "Playing to Win: Raising Children in a Competitive Culture." The age of your child is important in deciding whether to let your kid quit. A 4-year-old signed up for soccer or baseball may not yet be emotionally and behaviorally ready to take turns, and deal with letdowns and disappointments, says Fran Walfish, a family psychotherapist in Los Angeles and author of "The Self-Aware Parent." “If this is the case, you should tell your youngster, ‘We're not ready yet, we'll try again next season,’” she says. On the other hand, a 9-year-old with a habit of starting and quitting may need a push to stick it out to the end. “Parents need to help their kids face, sometimes, doing things they don't want to because they are bored, challenged, or struggling,” Walfish says. These older children need to learn to follow through with their promises. “Kids need to learn that when they make a commitment, this matters for others -- if you are on a team -- or for financial reasons -- if mom or dad committed to paying for music lessons for a semester,” Levey Friedman says. Dolin says most kids respond well when they are given a choice: pout or march on. The tactic even helped her fifth-grade son survive the school year as a drummer in the school band. But when this empathetic approach doesn’t work, how do you know when to throw in the towel? “If it’s causing serious psychological distress for your child,” says Dolin, it’s time to quit. Take a step back and ask: How important is this for child’s development and how is it affecting your relationship with your child? When violin practice takes a session of poking and prodding your young violinist, only give the lessons a couple of months. “If the child doesn’t have motivation and you’re the one driving it all the time, that’s a sign that it might not be the right activity at that time,” Dolin says. There are ways to avoid these tantrums. Before signing kids up for a new session of cooking or Spanish lessons, discuss the practice and time commitment of the activity with your children. Warn them about the consequences they’ll face if they don’t fulfill their commitment. A child who quits may have to reimburse their parents, suggests Woodbridge, Va., psychologist James Crist. Most importantly, don’t feel you have to enroll your child in every activity in hopes that they’ll discover a single interest made just for them.